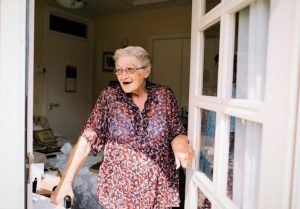 The decision to move into a care home is one that prospective residents and their families find extremely difficult. We completely understand this and make every effort to ensure the transition is as smooth as possible. We encourage prospective residents to join us for the day to see and meet the other residents and staff, or to join us for a short period as a respite resident to give them an opportunity to experience what life is like at Watermoor House. 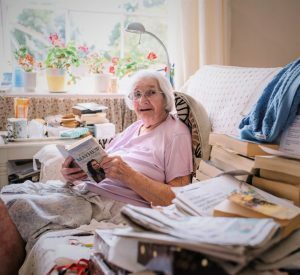 Many discover how much more comfortable life is at Watermoor House, and perhaps wonder why they struggled on at home for so long. Permanent residency includes help with personal care and the administration of any medication. Residents are assigned a Key Worker who spends time supporting the resident in their individual needs. This can include accompanying them to appointments, going shopping for special items, contacting friends and family, talking over any concerns and simply spending quality time with the resident on a frequent basis. Residents are encouraged to bring as many of their belongings and furniture as possible to make the room their own ‘home away from home’. 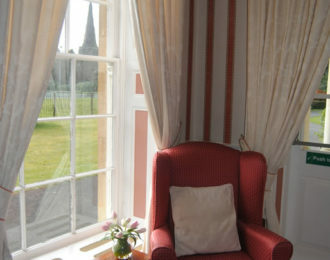 The house is fully carpeted with central heating throughout and residents have a choice of two lounges, the main one overlooking St Michael’s Park. All 37 bedrooms are en-suite with toilet and sink, enabling us to deliver person-centred care in a dignified manner, promoting independence where possible. We offer a complimentary day in the house for potential residents to come and try what life is like at Watermoor House and to meet our current residents and team members.